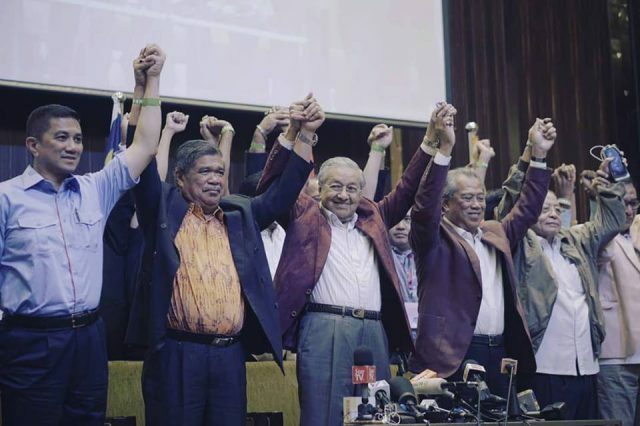 Out went the old guard, and in came the old guard, in Malaysia’s elections on 9 May. Locals and foreigners celebrated this event as a new political awakening. It’s a sign of how far things are perceived to have slipped in a country that has the greatest potential in Southeast Asia outside Singapore. [A]s the boundaries between business, politics and the state have become increasingly blurred, patronage, factionalism, corruption and money politics have increased. But that was published on 31 October 2003, the day the then-prime minister, Tun Dr Mahathir Mohamad, retired. The paper went on to note that Mahathir had ‘emasculated the judiciary’ and ‘muzzled the press’. What’s changed? Well, this experience at the head of government now is apparently a virtue—‘a stabilising factor’, we’re told. Everyone hopes the 92‑year‑old that resumed the prime ministership after Malaysia’s 14th general election is a wiser and mellower man. He’ll need to be. Every revolution has its day of reckoning, or morning of delirium tremens, when the aspirations of reformists become mired in the tedium and vexed choices of government. It has happened after popular movements for change in Argentina (1983), the Philippines (1986), the Soviet Union (1991), Indonesia (1998) and North Africa and the Middle East following the Arab Spring (2010). 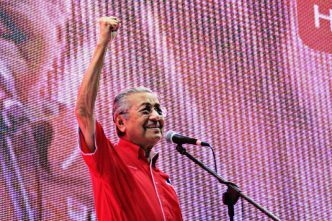 The Malaysia that Mahathir re‑inherits is distrustful of government, quietly angry that the mega projects that pass for development haven’t improved living standards, and unsure of how its singular marriage of ethnicity, culture, religion and geography should be managed as the country evolves. There are lingering questions over what the new version of a Mahathir government will be like. It’s too early to say. But here are some of the challenges it faces. First, there is a test of political accountability. This shouldn’t be judged by how Mahathir makes wrongdoers pay for the egregious corruption under the government of defeated Prime Minister Najib Razak, but whether he has a genuine commitment to pluralism. The manifesto of the ruling Pakatan Harapan (PH) coalition contains a long list of welcome promises to create a more open, competitive and transparent political system. Those include reforms to improve the operation of parliament and the electoral system, to enhance scrutiny over budgetary matters and public appointments, to limit the power of the prime minister, and to remove constraints on freedom of expression and association. But the PH manifesto also reveals a deeper truth about the coalition’s election victory. The first ‘political reform’ pledge is to protect ‘the special position of Malays’ and other bumiputera, who account for 68% of the population. 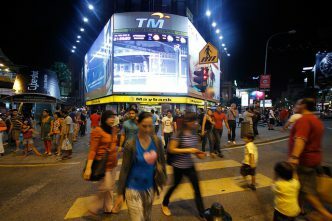 The government will reserve shares in certain state-owned enterprises exclusively for Malays. It will uphold ‘the Malay and Islamic agenda’ by tabling an accountability report in parliament every year. 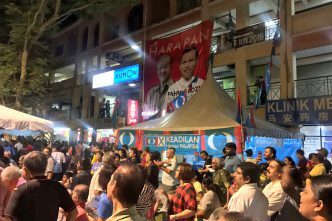 The election ended the long reign of the United Malays National Organisation (UMNO), but the nature of this repudiation by Malay voters needs to be put into context. A large-enough proportion of the Malay heartland lost confidence in the ability of the Najib-led UMNO to deliver on its traditional agenda, not in the agenda itself. Despite predictions of the end of the UMNO state, it’s unlikely that Mahathir or his putative successor, Anwar Ibrahim, will openly challenge Malay privilege. This sets a limit to the degree of inclusion and pluralism we can expect from the new regime. Second, the incoming government has to address grievances over the cost of living, while ensuring it can pay for some expensive promises. The government started by fulfilling a commitment to eliminate the Goods and Services Tax from 1 June, although it remains on the statute. In a country where only around 7% of the population pays income tax, the GST imposed a disproportionate burden on low income groups. But the tax reform leaves a revenue hole of MR40 billion (A$13.3 billion). Finance Minister Lim Guan Eng has a reputation for efficient management from his time at chief minister of Penang. Facing a deeper deficit and debt problem than the Najib government revealed, the need to make offsetting savings will test those skills. Just as important, the markets and the public will be alert to any signs that the Mahathir government will simply swap one set of cronies for another. Mahathir was accused of waste and cronyism during his last term in office. The late journalist Barry Wain, in his book Malaysian maverick, accused Mahathir of squandering RM100 billion on four financial scandals while in office—a number Mahathir claimed was exaggerated. Mahathir also is accused of secretly using taxpayers’ money to partly fund the construction of UMNO headquarters. Mahathir retains a loyal following among some of Malaysia’s most powerful business people. Given the pervasiveness of money politics, it’ll be hard to avoid at least the suspicion that payment for that loyalty will now fall due. Third, Mahathir takes over in a very different foreign policy environment to the one he inhabited when last in office. Mahathir then had a reputation for jousting with Western leaders. He was also strongly anti-Semitic. In his farewell speech to the Organisation of the Islamic Conference in 2003, he claimed Jews had ‘invented and successfully promoted socialism, communism, human rights and democracy so that persecuting them would appear to be wrong’. The full speech is worth reading. He later labelled Tony Blair a ‘liar’ over the Iraq invasion. At a time when the US was the dominant power in East Asia, Mahathir’s prickly attitude towards the West was no more than an irritation. Today, with China competing against the US for status as the region’s predominant power, Malaysia’s disposition is vital. But the West’s cause hasn’t been helped by Donald Trump’s decisions to move the US embassy to Jerusalem and to withdraw from the Iran nuclear deal. Under Mahathir, Malaysia’s Petronas risked US ire with a deal to develop the South Pars gas field in Iranian waters. Mahathir’s instincts and his political base will encourage him to repeat such acts of defiance. Still, the independent streak in foreign policy is unlikely to make Malaysia an easy partner for China either, especially as Mahathir seeks to renegotiate some Beijing-financed construction deals that he says undermine national sovereignty. The great power competition for Malaysian favour will be an interesting game to watch. Following the elections, Malaysian politics is enjoying a fresh start, with old personalities at the helm. Malaysians are rightfully happy that the long night of Najib rule has passed. 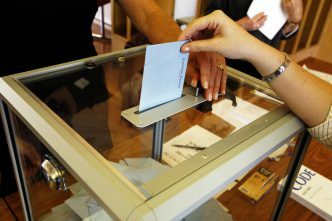 But enduring change will require a shift in political culture. If that’s to happen at all, it’ll be a slow process, marked by many setbacks. The irony is that the transition will depend on a man who, more than any other, embodied the culture. Donald Greenlees is a former Asia correspondent for several international and Australian publications. He now is with the Australian National University, where he has researched Indonesian foreign policy. Image courtesy Dr Mahathir D. Mohamad via Facebook.